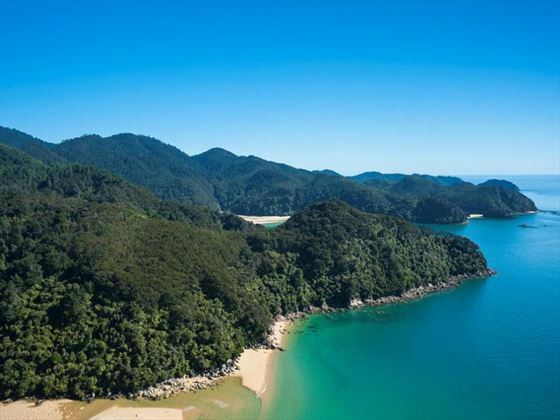 Boasting a prime location just a short walk from the Abel Tasman National Park, the Abel Tasman Marahau Lodge is a collection of 12 charming chalets surrounded by beautiful scenery. 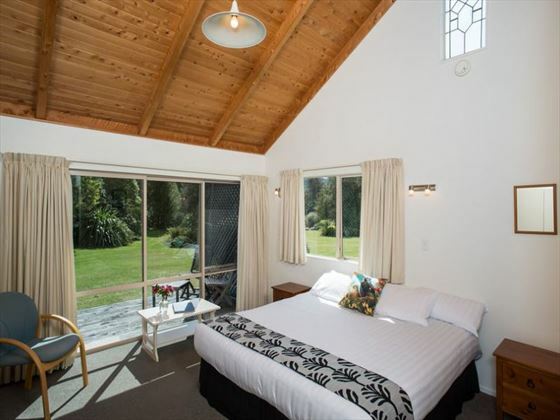 Each of the chalets is self-contained, giving you that home-from-home feeling and complete privacy to relax and unwind. 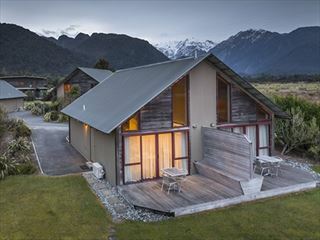 The heated outdoor spa and sauna provide that dose of indulgence after a day discovering the sights, while the great position by the park means you can spend your time here exploring the surrounding area. 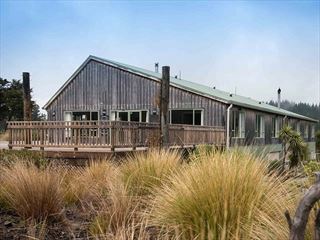 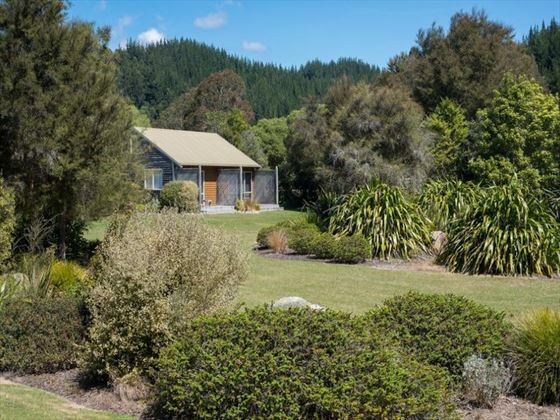 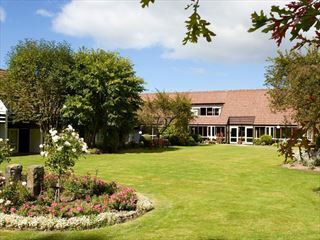 Situated just 400 metres from the Abel Tasman National Park, the Abel Tasman Marahau Lodge enjoys a great position within easy reach of the main attractions in the area. 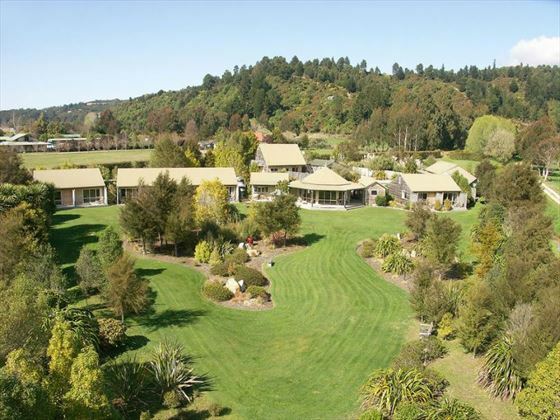 Just five minutes from the beach, restaurants and kayaking spots, you’ll find plenty of activities to do in and around the property. 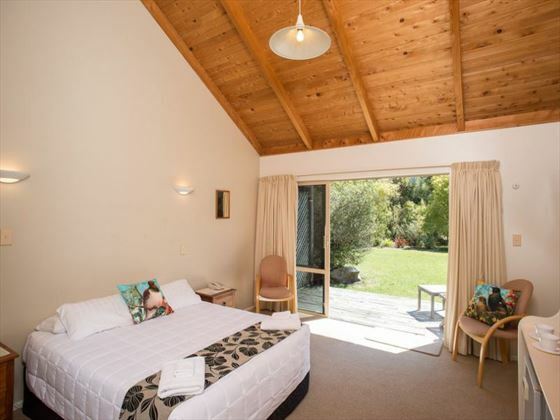 The lodge provides a selection of 12 spacious chalets, with a choice of studios, one-bedroom and two-bedroom chalets. 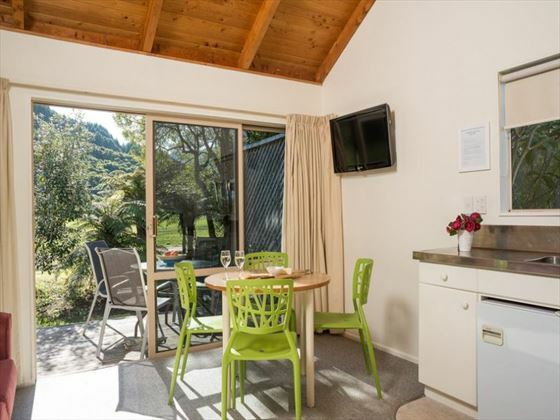 The chalets all feature self-catering facilities for convenience and ease; breakfasts can be delivered to your chalet each morning and packed lunches are also available upon request for days spent enjoying the park.